These are works in progress – students are yet to paint these with expressive colour schemes and patterns. Papier Mache Sculpture: the unit began with students focused on psychological traits and how these could be translated in to visual language to communicate ideas about personality. The girls took a playful psychological profiling test whereby they determined various anthropomorphic traits of animals and likened them to their own personality. 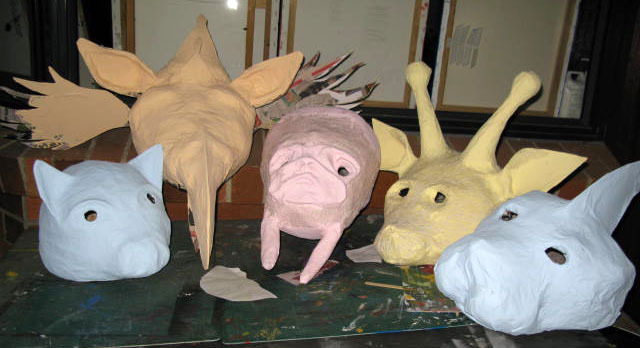 Various animal forms were then drawn and combined to arrive at the design for the mask. The next stage is to explore expressive colour to convey emotional elements enhanced by patterning and texture to also carry meaning.